Sometimes I pass something trendy and cute in a store and think, “I could make that.” The best part of making something trendy yourself is that you won’t have to spend a lot. You can usually dig around your home and find recyclable materials. Many of this summer’s trendy items, including embellished flip flops, paracord bracelets (also known as survival bracelets), and stuff made from t-shirts, can all be done with crochet! 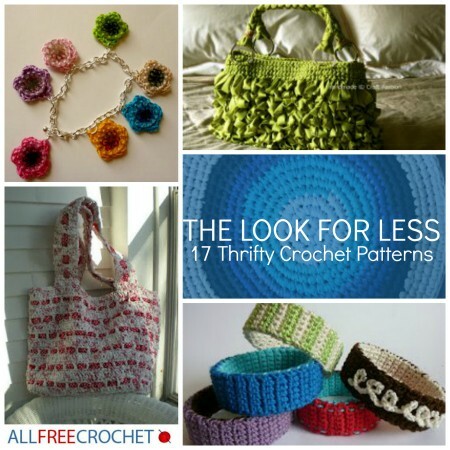 AllFreeCrochet.com has rounded up 17 thrifty crochet patterns, including crafts to wear or decorate your home. 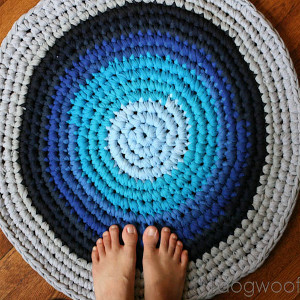 Don’t spend for trends, just use your crocheting skills to get the look for less! Learn how to make plarn or how to make t-shirt yarn for many of these resourceful crochet patterns. Get hooked on saving money and the earth! 3. 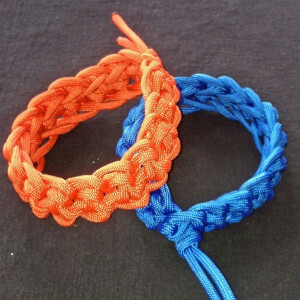 Survival Bracelets – Paracord bracelets are the perfect DIY camping accessory because they double as a useful tool. 8. Chunky Bangle Bracelet – You’ll never guess what kitchen recyclable makes these chic bracelets. 12. Candy Container Hook Case – Made with a mini M&M’s candy container, this project will help organize your crochet hooks! 16. 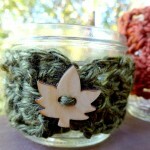 Hemp Mason Jar Cozy – This cozy is perfect for sipping tea on a hot summer day. 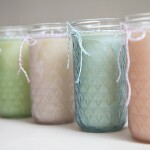 Are you proud of a thrifty craft you’ve made?